RambleFest displays Cannock Chase guidebooks and maps, and provides the facility for buying them online. What is now Cannock Chase was once an expansive sweep of a great medieval royal hunting forest. Today it is a surprisingly remote area of high sandstone heather and bracken heathland, with birch woodland and extensive pine plantations. Dissected by secluded valleys and framed by a gentler landscape of fine parklands and attractive villages, this AONB encloses the last oak remnant of the ancient Cannock Forest. Its unenclosed, semi-natural landscapes provide a valuable contrast to the ordered agricultural landscapes dominating the Midlands region. 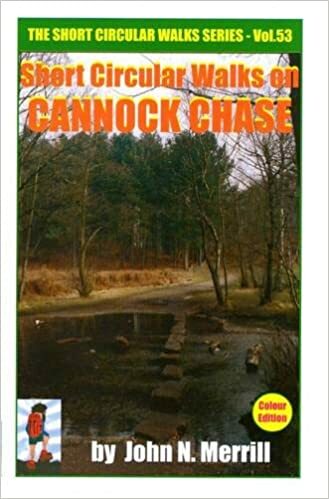 The one rambling guidebook for Cannock Chase is out of print, although it may be available from third-parties via Amazon. We include two maps which cover the area, plus other books of interest.